When the system fails your child, who will help? After my abuser assaulted me, I gave him another chance because he promised to get help. Soon after, he assaulted my child. I called the police to make a report and kicked the abuser out of my home for good. The police decided that since there were no marks on my child, I was lying. They stated in the report that the accusations were false, then reported me to children’s services saying I was delusional. CPS investigated me for a month, but never contacted my abuser who already had a criminal history of assaulting me and multiple women before he hit my child. Recently, my other child came back from a visit with his father and described concerning physical and emotional abuse. 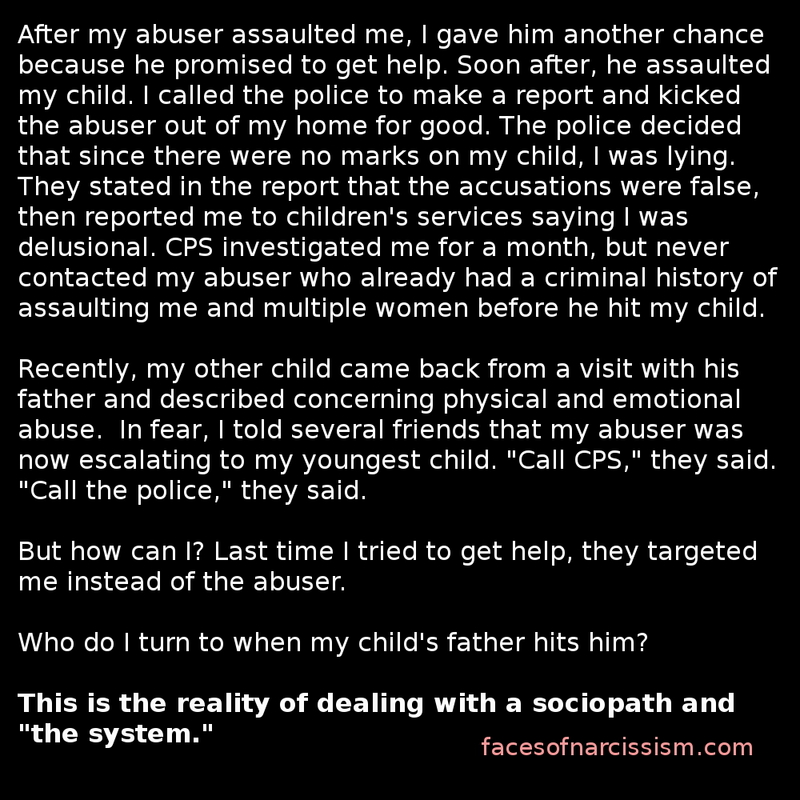 In fear, I told several friends that my abuser was now escalating to my youngest child. “Call CPS,” they said. “Call the police,” they said. But how can I? Last time I tried to get help, they targeted me instead of the abuser. Who do I turn to when my child’s father hits him?